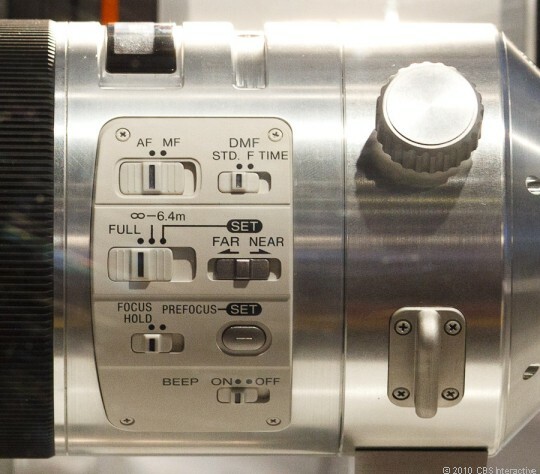 Call me old-fashioned, but I think a lens should be about the glass. You know, take you out to dinner, talk to you about the things you like, minimize chromatic aberration, and leave the image stabilizing newfangleness at home. But I still get gadget envy when I see the side of these prototype lenses for Sony’s Alpha system, currently being shown behind glass at Photokina. A beep switch? Why not!